Jaipur is a perfect weekend delight destination for those who want to experience the Royal culture and heritage of Rajasthan in short time. It is located just 250 kms from Delhi and has superb connectivity via flights and road. A short trip to Jaipur after a business meet or hectic schedule will certainly be refreshing and entertaining. Pink City of Jaipur has a great scope to offer and experience. Top class accommodation and heritage hotels turn Havelis will definitely be a gala treat for you. Let’s enjoy the marvellous journey to the amazing capital city of Rajasthan “Jaipur”. Your journey to the extravagant city of Jaipur will start with your pick up from Delhi. An approx 4 hours drive from National Highway will take you to Pink City-Jaipur. Words are less to explain the beauty, heritage, culture and importance of the city. Jaipur is showcase of the royal land of Rajasthan. On arrival check into to your Heritage hotel, after freshen up rest of the day and evening is at leisure to explore the city and its culture. You can take a stroll around the traditional markets and enjoy shopping of different articles like gems, stones, handicraft etc. A short rickshaw ride to market will definitely be a delight experience. If you want to experience the Rajasthan cuisine and culture to closest, you can schedule your visit to Chowki Dhani village. You will get chance to experience traditional Rajasthani cuisine, dance and vibrant culture. The morning will be special, you will start your day with a visit to Birla Temple, a soothing morning visit to temple will make your day. Nothing could be better than having a peaceful and pleasant start. After darshan you will taken to Amer Fort. The fort is magnificent and majestic as well. The palaces and corridors give the reflection of the richness of that princely period. From parking to fort premises you can enjoy Elephant ride which will make you feel like a king. One can also approach to the fort on Jeep. After the fort visit return back to Jaipur and experience the mind-blowing masterpiece of excellence Jantar Mantar. It is an observatory which was built by Maharaja Jai Singh and its sun dial still gives accurate timing. 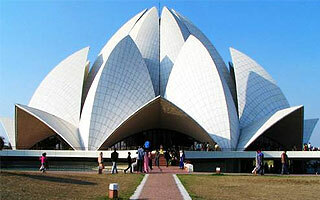 After Jantar mantar, visit Albert hall Museum and city Palace. The museum has a huge collection of art, handicraft and articles of archaeological importance. City palace located in the heart of city possesses great values and importance and showcase the beautifully carved and designed palaces. Drive pass to Hawa Mahal will leave you with an impression of wow. Having 152 windows Wind Palace is the most recognizable 5 storey monument of Jaipur. After sightseeing have some rest at hotel. Evening will bring a greater opportunity for you. If you are adventurer by nature then you must have experience the hot air Balloon ride at Jaipur. The amazing ride will allow you gaze deep into the city from the open sky. Pink city of Jaipur is a prime centre of attraction among the tourist. Its been attracting the tourist to it from many decades. The well planned and architectural important city is house of many beautiful forts and building. They present the great amalgamation of Indian culture, heritage and royality of the Marvelous state of Rajasthan. The city is well developed and have plenty of hotels as according to different budget of people to luxurious. Internationa Airport of Jaipur has direct flights to different cities of India. By train it is also easily accessible. A highway drive of around 4 & half hour take you to the state. As according to your avaialble time, choice of transport you can plan your tour to Jaipur.